You love the book - now buy a print! You already know and love my latest book The Rolling Stone Years…blush, blush…but did you know that you can actually pick a page and pick a print! Virtually every image appearing in the book is now available for direct purchase from The Rolling Stone Years website. Each image is available in three sizes via an easy browse, select, and pay format on a dedicated blog page called “Buy A Print.” Scroll through the “pages” of the book, click on your favorite image, and select the size you want. Choose from 20×24 inch, 16×20 inch, and 11×14 inch. PayPal walks you through the rest. It’s just that easy! 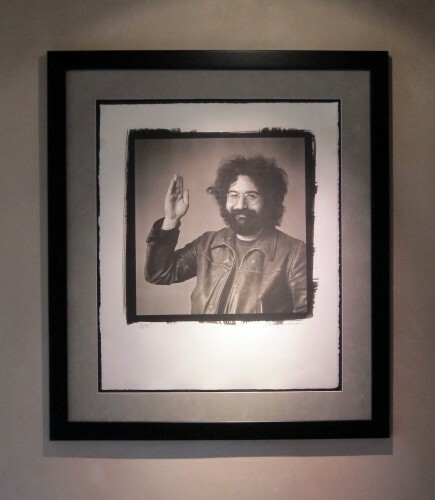 Like this iconic Jerry Garcia image, for example…. All prints include free shipping to the continental United States and are signed by yours truly. Secret tip: sign up for my mailing list NOW and receive attractive exclusive offers for mail-list members only.